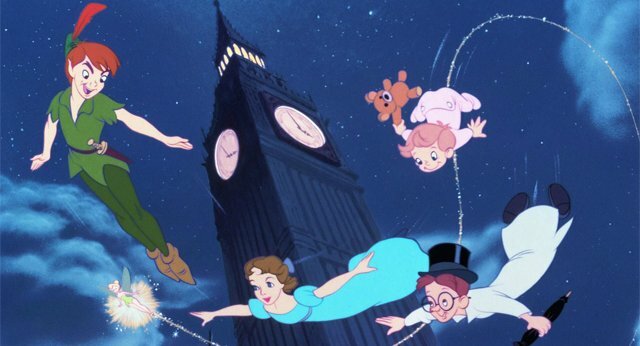 Joining Beauty and the Beast, the Tim Burton-directed Dumbo, and Cruella De Ville in Disney’s pantheon of old-school classics poised for the live-action treatment, Deadline brings word that the House of Mouse is circling back to Neverland for a new take on the Peter Pan tale of old. The company is ushering said project into pre-production quite quickly, too, with David Lowery and Toby Halbrooks already attached to direct and write. Currently placing the final touches to the summer release of Pete’s Dragon, a modern reimagining of the studio’s 1977 musical, Lowery and Halbrooks are perhaps the perfect fit to steer J.M. Barrie’s enduring classic into Disney’s expanding live-action division. Throughout the years, Barrie’s yarn of the boy who would never grow old has been brought to life through a variety of creative outlets, including Steven Spielberg’s Hook to Pan, Warner Bros. and Joe Wright’s lavish flop that was all style and little – if any – substance. Disney’s live-action Peter Pan, then, with David Lowery and Toby Halbrooks on board to nurture the project, represents an opportunity to recapture the essence of Barrie’s adventure, from the titular and mischievous young boy to the fantastical realm of Neverland. What’s more, with Resse Witherspoon circling a Tinkerbell movie, don’t be too surprised if the actress winds up starring in both movies as Disney’s live-action master plan continues to take shape. It’s still early days for Lowery and Halbrooks’ big-screen rendition of Peter Pan, but moviegoers will be able to see how the creators spin out old-school Disney magic with the release of Pete’s Dragon on August 12.